The inside of your eyeball is filled with a fluid and it constantly drains and fills like the bowl in a fountain. If the drainage ports in your eyes get blocked, the fluid can overfill, causing pressure inside the eye. This pressure can damage the optic nerve, which sends the images the eye sees to the brain. 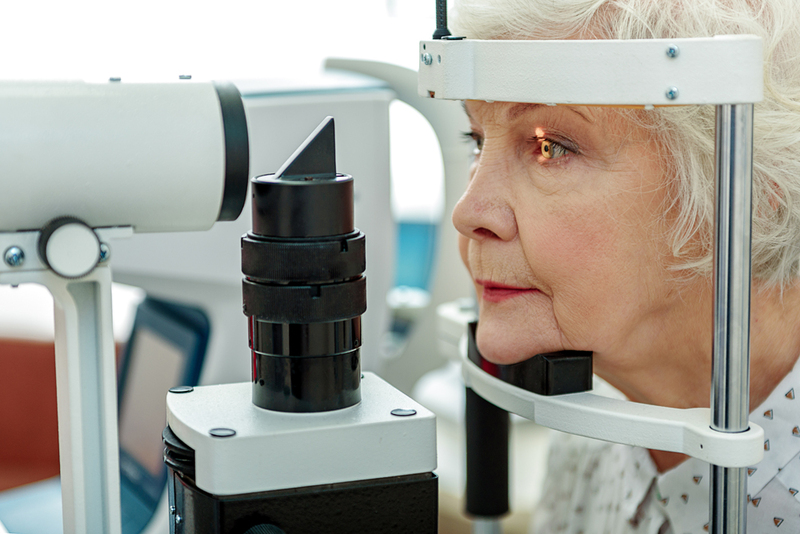 If left untreated, glaucoma can cause blindness; in fact, it's the most common cause of blindness for people over 60. At Wichita Optometry, most of our glaucoma patients have no idea they have the disease when our doctors diagnose them. By the time symptoms appear, damage has already been done to the optic nerve, which can't be repaired. Early treatment can delay or prevent vision damage, which is why it's so important for you to see our doctors for regular vision exams. While the damage done by glaucoma can't be fixed, our doctors can treat your eyes before any damage has been done. Early treatment can allow you to live your life without any vision damage, by using one or more of these methods. All of our glaucoma patients begin by using prescription eye drops. These drops cause a reduction in the production of the fluid in your eye, which will reduce the pressure build-up inside. Other types of drops help the liquid to flow through the drainage passage, known as the drainage angle, more easily. In both cases, less fluid inside the eyeball equals less pressure to damage your optic nerve. Most glaucoma patients have wet-angle glaucoma, and the laser treatment for that involves creating a more efficient drainage system in the eye, which allows more fluid to flow out. For the rarer angle-closure glaucoma patients, laser surgery to create a very small hole in the iris, which allows more fluid to drain out, is the laser surgery method of choice. For the most severe glaucoma cases, physical surgery may be needed to create more secure ways for fluid to drain out of the eyes. The beginning of all glaucoma treatment is a diagnosis during a comprehensive eye examination. Allow one of our optometrist to examine your eyes. Give us a call at (316) 942-7496 to schedule an appointment today.